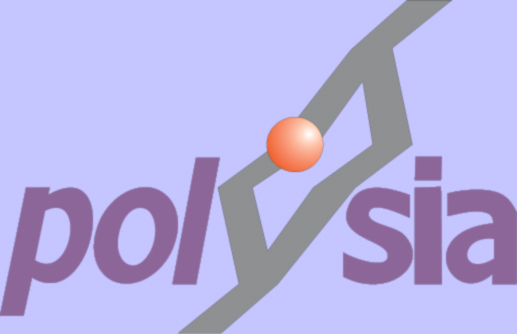 The goal of WP 6 is the biological in vitro characterisation of the modified polySia materials. 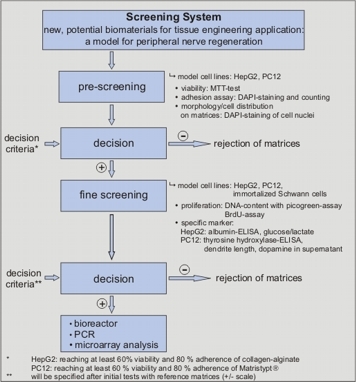 The parameters which will be evaluated include viability and morphology through the application of the developed screening system using model cell lines (PC 12 and Hep-G2) and Schwann cells. Furthermore, different bioreactor systems for dynamic cultivations will be developed and optimized. The bioreactors will be designed for testing high numbers of different materials under controlled and reproducible conditions. 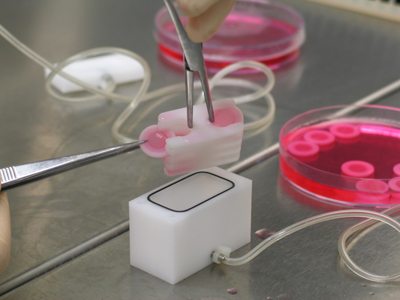 Therefore, the bioreactors will be coupled to a control unit, which will be developed for data acquisition. Sensors for oxygen, pH value, and temperature will be selected from commercially available products, and adapted and integrated into the bioreactor system. The measured values lead to the realization of optimal cultivation conditions. The biological effects of PolySia and PolySia-based materials on cultures of primary neurons and peripheral glia (Schwann cells) is evaluated in vitro. Evaluated neurons are: sensory dorsal root ganglia neurons from neonatal rats, motoneurons from embryonic rat spinal cord, or mesencephalic neural progenitor cells. Schwann cells are cultured from sciatic nerves of neonatal or adult rats but also from peripheral nerves of human donors. 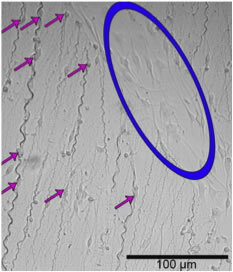 Cultures are analysed with regard to cell adhesion, viability, proliferation rates, as well as cell differentiation (neurite outgrowth) on the different PolySia-based substrata.